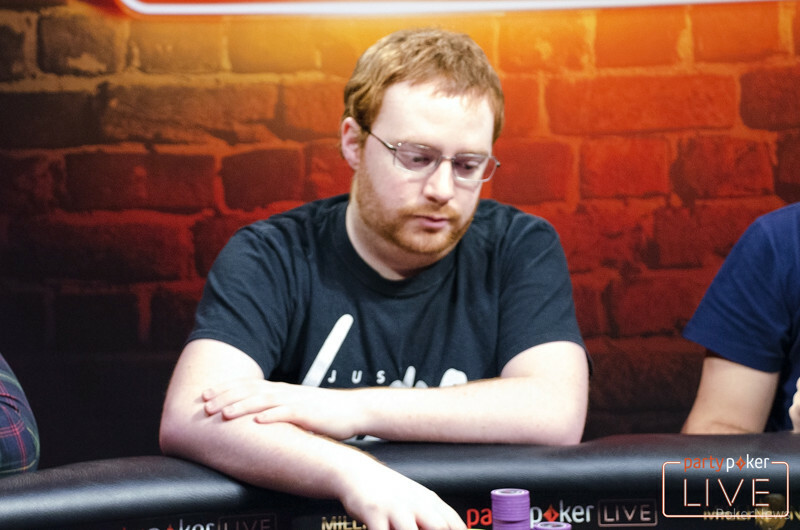 Glaswegian pro Niall Farrell is leading the £1million guaranteed partypokerLIVE £10,300 High Roller, one of the flagship events at the eagerly-awaited partypoker MILLIONS at Dusk Till Dawn in Nottingham. Farrell has 433,700, just ahead of 888poker Ambassador Dominik Nitsche won a giant 300k pot to bring his count up to 391,400. Hundreds of players are heading to Nottingham today. Let us help you with hotels near the famous Dusk Till Dawn cardroom. With 100 players needed to reach the £1m guarantee, there were 92 entries (including 8 re-entries) across the six hours of play yesterday with late reg remaining open until the first break today. partypoker Ambassadors Joao Simao (224,400), Sam Trickett (200,000) and Roberto Romanello (119,700) all did the home team proud and others still thriving include American Jason Wheeler (307,025), Briton Ben Heath (334,450) plus Manig Loeser, WPT champion Ema Zajmovic, Charlie Carrel, Kully Sidhu, Govert Metaal and Alex Goulder all still thriving. The live Day 1e of the £6 million guaranteed Main Event is back in action today at with a huge field expected. With a guaranteed first prize of £1m, the partypoker MILLIONS Main Event, which is running until April 23 is set to be one of the most exciting tournaments ever to take place in the UK. Among those competing are partypoker Ambassadors Boris Becker, Patrick Leonard and Padraig Parkinson plus Dominik Nitsche, Dzmitry Urbanovich, Paul Newey, Marcel Luske, David Vamplew, Griffin Benger, James Akenhead, Roberto Romanello, Max Silver, Liv Boeree, Toby Lewis, Ludovic Geilich, Dara O’Kearney and Luke Schwartz. A host of online satellites and online and live Day 1s across Europe have already created a giant field for Day 2 of the event. As well as the Main Event, the live schedule at partypoker MILLIONS includes a £25k Super High Roller, £2,500 8-Max, DTD 200 and DTD 200 Turbo, £2,500 6-Max Turbo and £200 Ladies Event. A wealth of other activities are on offer as well including a Zorb football match, golf day, horse racing and the ICED Millions Players Party (on April 21).